The System-B Electroscope is an economical model to aid in treasure hunting without sacrificing quality, dependability, and performance. 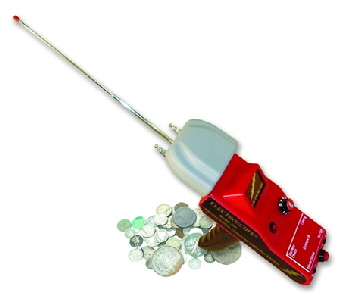 The System-B is an affordable long-range instrument to aid you in your pursuit of treasure! Add this effective tool to your treasure hunting arsenal -- an absolute must for any serious prospector.